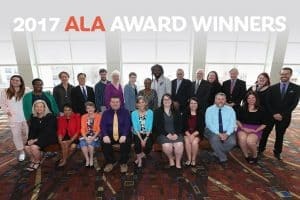 The American Library Association (ALA) recognizes the achievements of more than 200 individuals and institutions each year with a variety of awards. This year’s award winners, chosen by juries of their colleagues and peers, exemplify leadership, vision, and service as well as a continued commitment to diversity, equality, education, and outreach. This selection represents only a portion of those honored in 2018; see more award winners. Chu’s work is notable for extending beyond the classroom, most recently in support of Southeast Asian refugees. Letters in support of her nomination noted her encouragement, intellectual scope, and the care she takes with her students. 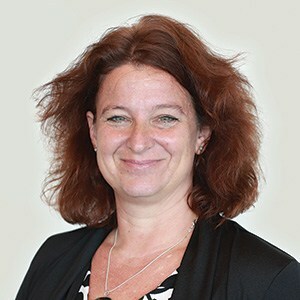 Her multilingual contributions to the field include more than 40 articles and book chapters as well as her coauthored book, Educating the Profession: 40 Years of the IFLA Section on Education and Training (IFLA Publications Series, 2016). 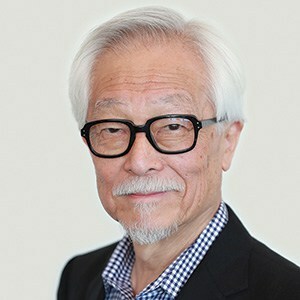 Chu serves as Mortenson Distinguished Professor and director of the Mortenson Center for International Library Programs at the University of Illinois at Urbana-Champaign Library, and is an affiliated faculty member at the iSchool at Illinois. The Frozen Hours (Ballantine Books, 2017) is set in the winter of 1950, when the American, United Nations, and Republic of Korea forces battled the Chinese army, which crossed the Yalu River to support the collapsing North Korean Army. The US Marines and their allies were retreating in the face of the overwhelming enemy forces at the Chosin Reservoir while simultaneously trying to cope with an extremely harsh winter. More than 4,000 were killed in action and another 7,000 succumbed to the cold. Their struggles were not in vain as their actions allowed the majority of the First Marine Division to escape the battlefield and be evacuated safely. In the end, more than 100,000 military personnel and more than 91,000 refugees were evacuated from the port of Hungnam by December 24, 1950. The jury declared Shaara’s novel, told from multiple perspectives, a major work of historical fiction that helps us remember the Korean War and those who fought in it. Stoffle’s career spans 44 years, including 20 as dean of libraries at University of Arizona’s School of Information. Although she retired from that position in 2013, she remains on the faculty. 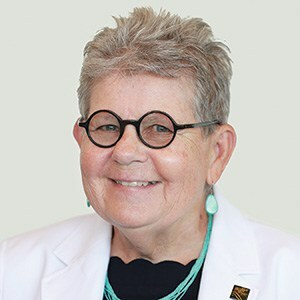 The jury noted many accomplishments throughout her career in organizational change and management; as an instructor, author, speaker, and mentor; and her leadership in professional associations such as ALA, the Association of College and Research Libraries (ACRL), the Association of Research Libraries (ARL), Center for Research Libraries, Amigos Library Services, and the Greater Western Library Alliance. 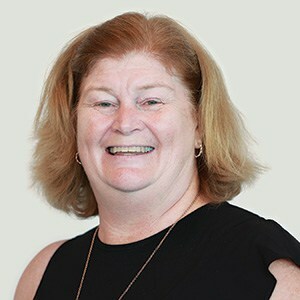 The award committee particularly noted her role as the cocreator of Knowledge River, now in its 17th year within the University of Arizona School of Information. The program has trained more than 200 librarians with a concentration in Latino and Native American cultural issues. Stoffle was also recognized for her leadership as president of ACRL from 1982–1983 and ALA treasurer from 1988–1992. More than 9,000 programs a year take place both inside and outside LCPL buildings, with community partners that range from local malls and breweries to the George C. Marshall International Center. A Harry Potter Night for millennials over age 21 drew 600 people, and more than 200 turned out for a Science on Tap program that presented lectures on cutting-edge scientific topics at a brewpub. Liu is a member of the Loudoun 100 and the local Rotary Club, serves as a docent for the George C. Marshall International Center, and both she and LCPL are active partners with the Loudoun Literacy Council, which operates in a county where one in four residents was born outside the United States. She was named a Public Library Association Leadership Fellow in 2010 and is active in the Urban Libraries Council. 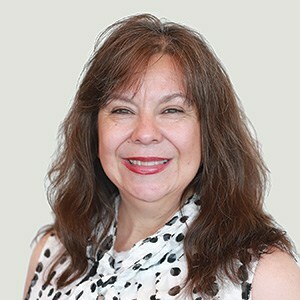 Rivera has been a champion for equality throughout her career at both the University of Michigan (UM) Library, where she is student enrichment and community outreach librarian, and at the University of Arizona, where she previously served as assistant librarian for outreach. She leads the UM Peer Information Counseling Program, which addresses the barriers to library access experienced by new students, minority students, those who were historically underserved, and other peer groups. 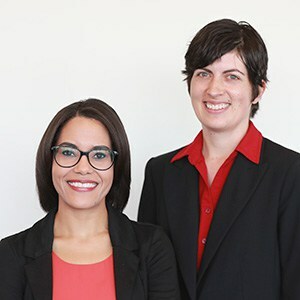 Rivera recruited, trained, and mentored undergraduate students of color, who in turn worked with thousands of their peers. She has made significant contributions through ALA, ACRL, Reforma, and other library associations. She mentored new professionals through the ALA Spectrum Scholarship Program and ARL’s Initiative to Recruit a Diverse Workforce program. She also helped set up the Joint Council of Librarians of Color (JCLC) in 2015 as a nonprofit organization that advocates for and addresses the common needs of ALA’s ethnic affiliates. She currently serves as JCLC vice president. 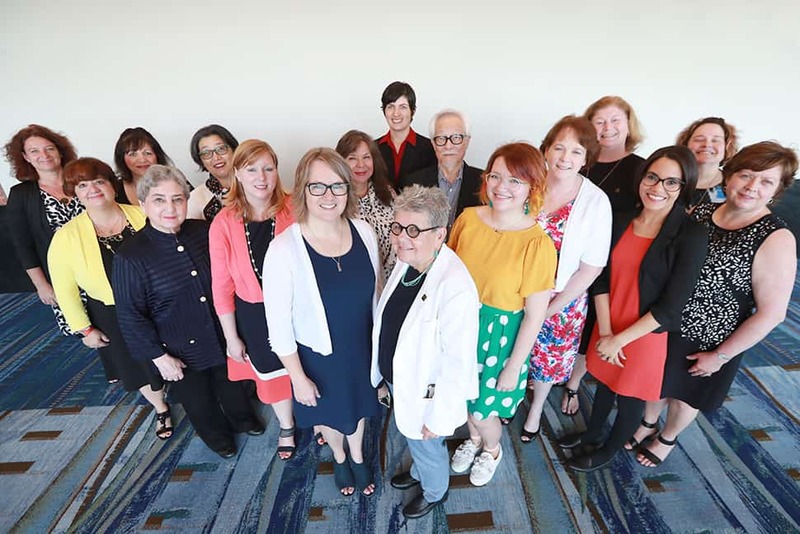 Rivera’s advocacy for equality and inclusion has also been demonstrated through her publications and presentations on the topics of diversity and equality, including a special commissioned report on the state of library leadership research and diversity leadership programs. Joliet (Ill.) Public Library’s (JPL) “Star Wars Day” is the largest Disney-approved Star Wars event of its kind in the world. Started in 2009, the span and scope of the event have grown exponentially each year, and it now attracts more than 10,000 visitors from several states. One highlight is a downtown parade, complete with several themed vehicles and featuring more than 200 individuals from the 501st Legion, a worldwide Star Wars costuming organization. The influence of Star Wars Day lingers far beyond the day’s events. The library has garnered fandom devotees and social media followers who now associate JPL with science fiction. JPL has also developed robust community partnerships, which it can call on throughout the year for support and further joint ventures. Local businesses that contribute to the event financially now use Joliet’s Digital Media Studio for their publicity needs. The day also benefits downtown restaurants and bars that feature Star Wars–themed food and drinks, as well as a nearby hotel that fills to capacity. Although Star Wars Day continues to grow, the expenses for the library are offset through fundraising and partnerships, making the event sustainable. 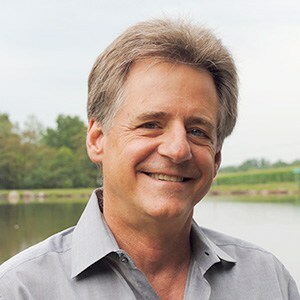 Crowe cofounded the Califa Group, a nonprofit that enables its more than 220 member libraries to purchase services and products cooperatively, saving more than $4 million a year. Califa serves as the aggregator of the Corporation for Education Network Initiatives in California broadband project that provides high-speed broadband to public libraries throughout California and serves as the project manager for a National Science Foundation grant that brings STEM programming to rural public libraries across the country. In 2014, Crowe was named a Broadband Champion by the California Emerging Technology Fund. 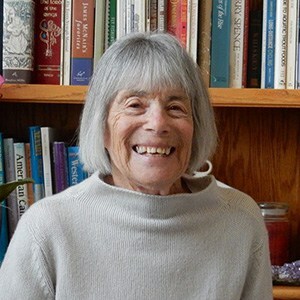 She served as CEO of the Pacific Library Partnership, where she oversaw the merger of four cooperative library systems in the San Francisco Bay Area, including all public libraries in Alameda, Contra Costa, Monterey, San Benito, San Francisco, San Mateo, Santa Clara, and Santa Cruz counties. The Charlotte Mecklenburg Library Foundation of Mecklenburg County, North Carolina, demonstrated successful and creative fundraising with its “I Love Our Library … Do You?” campaign. Developed around a $100,000 challenge grant from the Leon Levine Foundation, the campaign was intended to broaden the foundation’s base of support for ongoing sustainability. The foundation used a multifaceted approach capable of future growth and serving as a viable model for other libraries at a different matching dollar threshold. It had strong involvement by library staff, leaders, and community, and clear, consistent messaging. The foundation was given six months to raise an additional $100,000 in qualifying gifts from the community, but the successful campaign helped raise nearly $400,000. 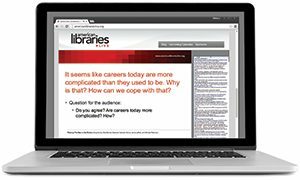 Roman’s career spans the breadth of the library profession. 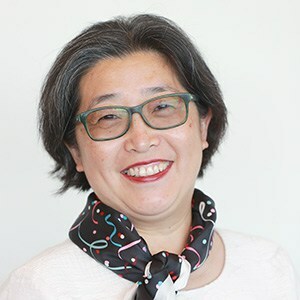 As executive director of Association for Library Service to Children (ALSC), her major initiatives focused on literature choices and literacy rights for children. 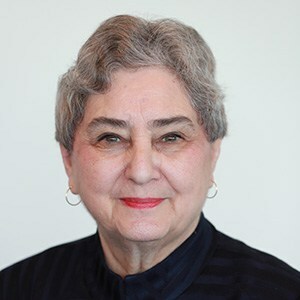 She has worked with or served on the board of almost every organization involved with children’s literature and literacy, including the Association of Children’s Museums, the Carnegie Foundation, the Center for the Book in the Library of Congress, the Children’s Book Council, First Book, Head Start, the Public Broadcasting System, the Reader’s Digest Foundation, the US Department of Education, and the Wallace Foundation. 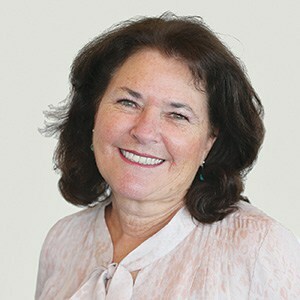 During her tenure as director of development for ALA, she used her skills in advocacy, budgeting, management, outreach, and grant writing to support initiatives including the Born to Read initiative, the Campaign for America’s Libraries, Spectrum Scholarships, and 21st Century Literacy, and to implement ALA’s Planned Giving program. 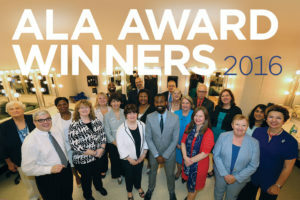 As dean of the Graduate School of Library and Information Science (GSLIS) at Dominican University, Roman led the successful effort to regain full ALA accreditation for the university’s GSLIS. She founded the Butler Children’s Literature Center at Dominican and served as principal investigator for The Dominican Study: Public Library Summer Reading Programs Close the Reading Gap. On December 14, 2012, Cech, then a library media specialist at Sandy Hook Elementary School in Newtown, Connecticut, herded 18 children and three staff members into a storage closet, locked the door, and barricaded it with book trucks and other available objects until the SWAT team arrived. She would not open the door until she verified the officers’ identity. 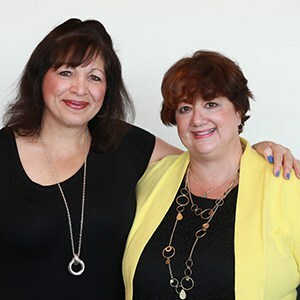 Five years later, during the siege at Marjory Stoneman Douglas High School in Parkland, Florida, Library Media Specialist Haneski remembered her friend Cech’s quick thinking and advice, and she acted accordingly. She shielded 50 high school students and five adults from harm in a large, barricaded equipment room. As Cech had done, she refused to open the door until she was certain the rescuers were who they claimed to be. Both librarians have been interviewed extensively by the media about their experiences, allowing them to describe in their own voices and words the events, their reactions, and their hope that what Cech calls a “teachable moment” will be a turning point. The Lemony Snicket prize will help Cech, now director of Brookfield (Conn.) Library, and Haneski expand their campaign and dedication to ensuring atrocities such as those they lived through will not continue. North Carolina State University (NCSU) Libraries in Raleigh was selected for its innovative “Emerging Digital Information Skills Workshops.” Through this program, the library partners with external groups to create collaborative teaching experiences that provide engaging learning opportunities to develop technical skills for the NCSU community. The active learning–centered workshops address a previously unmet need for instruction in such areas as data science, visualization, virtual reality, digital media production, and fabrication and introduce students and researchers to tools such as Tableau, WebVR frameworks, Jekyll, 3D printing, and R programming. Sessions give a conceptual overview of the technology or process, provide a structured hands-on learning experience, and allow time for participants to apply that learning through open-ended exploration and play. 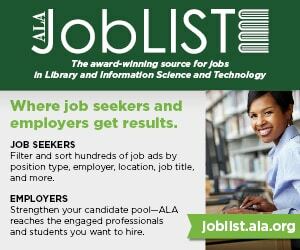 $1,500 honors a library, library consortium, group of librarians, or support organization for innovative planning for, applications of, or development of patron training programs about information technology in a library setting. DONOR: Information Today, Inc.
Reed’s long and distinguished career has involved stints as a library administrator, author, and advocate for libraries at the local, state, and national levels. Among the achievements specifically noted by the Lippincott jury and Reed’s many colleagues are her service as executive director of Friends of Libraries USA (FOLUSA), where she encouraged and oversaw the integration of FOLUSA into ALA in 2009, which ultimately led to the creation of United for Libraries, a powerful voice for libraries and their users. Her leadership in establishing the Virtual March on Washington and providing effective advice both nationally and internationally on issues critical to libraries—such as advocacy, fundraising, board development, strategic planning, and community engagement—were also recognized. Say’s biographical picture book Silent Days, Silent Dreams won the award for best book for young children. Say spotlights the work and life of arist James Castle. Deaf and autistic, Castle used his nontraditional style of art to communicate his understanding of the world. Growing up at the turn of the 20th century, he showed incredible resilience despite an often harsh existence. Macy McMillan and the Rainbow Goddess won the award for best middle-grade book. This free-verse novel welcomes readers into 6th-grader Macy’s world. Through an intergenerational relationship with her neighbor, Iris, Macy learns to navigate friendships, family changes, and school assignments. Iris learns to communicate with Macy through sign language, and Macy learns how Iris sends messages through the gift of cookies. The teen award winner is You’re Welcome, Universe. Julia is an artist; her medium graffiti. She thrives on the thrill of creating and the risk of getting caught. When she is expelled from her school for the deaf, she seeks to find balance between feeling invisible and her desire to be seen. Her friendship with “hearie” YP unexpectedly enhances her life and art. 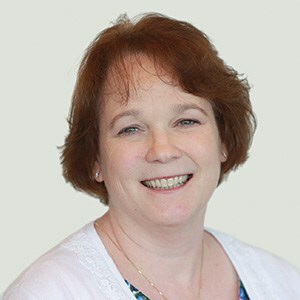 Dorr, media specialist at Hilliard (Ohio) Weaver Middle School, is recognized for her passion for children’s literature and her contributions to the reading and literary education of children in both public and school libraries for the last 30 years. 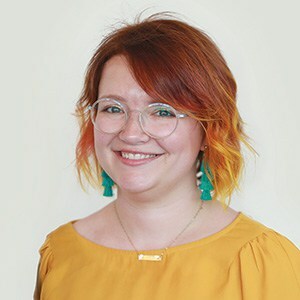 She most recently cowrote LGBTQAI+ Books for Children and Teens: Providing a Window for All (ALA Editions, 2018) with Liz Deskins. 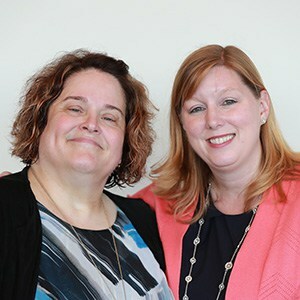 Dorr created a series of videos for the Ohio Educational Library Media Association that demonstrate strategies to use when reading aloud with children. She also implemented the framework for and contributed to a white paper in response to the 2012 Ohio law “The Third Grade Reading Guarantee” that sought to ensure that 3rd graders were promoted to 4th grade with adequate reading skills. She has served on the Coretta Scott King, Geisel, Notable Children’s Books, and Stonewall Book Award committees. 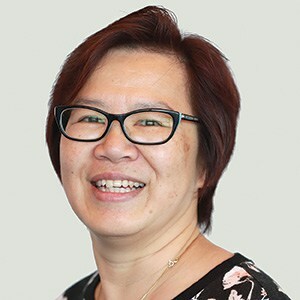 She currently serves on the Young Adult Library Services Association (YALSA) 2019 Nonfiction Award Committee and was elected to the 2020 Caldecott Award Selection Committee. Jones, director of county library services at Marin County (Calif.) Free Library, is a fierce advocate for youth services. Under her leadership more than 9,000 library cards have been issued to students in the district and all fines for children’s and teen materials have been eliminated. 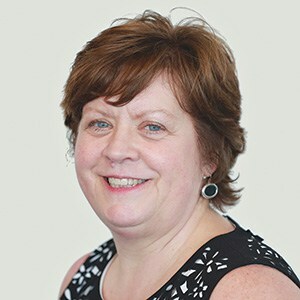 She has been on the forefront of bringing 21st-century learning and emerging technologies to the library’s 10 branches. She created a campus in collaboration with the Novato Unified School District and Marin County Office of Education that includes the library; a media lab with virtual reality, video production, and recording studios; and a large and active makerspace. 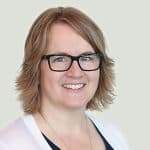 She sees the library as the great equalizer and has created community partnerships with groups such as Marin Promise, Marin Housing Authority, and other organizations to address inequities in the county and do focused work on grade-level reading. Western Maryland Regional Library’s “Service, Safety, and Security in Western Maryland” is a workshop for staff members in the libraries it serves in Washington, Garrett, and Allegany counties. The goals of the program are to identify primary security issues and empower staff to handle challenging issues through practicing defined resolutions and implementing an incident response plan. The jury was impressed by the library’s understanding of the needs of its member libraries to address difficult situations—such as drug use, mental illness, and homelessness—without negatively affecting other services. The outcome-based program emphasizes applying strategies learned in hypothetical situations. Additionally, the proposal incorporated a substantive evaluation methodology that includes a six-month follow-up survey that will ask participants to assess how the workshop contributed to their library’s service, safety, and security efforts.